Ayurveda (Science of Life) is the missing link to Yoga’s (Union to Sacred Self) complete approach to healing based on recognizing the need for a customized and individualistic approach to practice and lifestyle choices. The Principles of Ayurveda in Yoga Series is designed for anyone interested in Yogic and Ayurvedic healing. It is especially helpful to Yoga teachers, Yoga teachers-in-training, serious students of Yoga, therapists, and nurses. This 5 day component is the core foundation of the Ayurvedic Yoga Series, designed to provide students with the philosophy and principles of a combined Ayurvedic and Yogic healing approach. 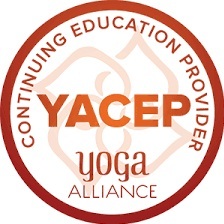 The hours are also eligible for CEU’s through Yoga Alliance. There are three ways to participate. You can register for the Friday evening introductory Chikitsa Workshop, register for Series 1(Friday May 31 included) or register for the whole program which includes Friday May 31st and Part 1 and Part 2 weekends. The Friday introductory workshop will introduce the Principles of Ayurveda according to your unique constitution. You will learn about your Vata, Pitta or Kapha constitution and take home some helpful tips and remedies for better sleep, digestion and overall well being. Simple ways to identify warning signs of imbalance, tools and techniques for restoring equilibrium and preventing imbalance; various methodologies for purification. Deposits or full payment will be refunded until April 15. After April 15, deposits will be forfeited, full payments will be refunded minus $75 administrative fees. After May 15 refunds will not be given. Kim Valeri Povey, CAP, AYT, C-IAYT, ERYT is the Founder and CEO of Yogaspirit® since 1997 with affiliated studio locations in Massachusetts and Washington states offering programs in Yoga and Ayurveda. She is the Former CEO of Kerala Ayurveda Academy and brings over 30 years of career experience, as well as expertise in therapeutic mind-body treatments, ayurveda wellness applications and all aspects of yoga, to her role as a transformation catalyst, mentor and coach. Kim is a legislative lobbyist and serves as leadership on the Protection and Access to Complementary and Alternative Health Care Committee which is a Project of Heath Freedom Action in Massachusetts. She leads on the Massachusetts National Ayurveda Medical Association and holds professional memberships with the International Association of Yoga Therapists (IAYT) and Yoga Alliance (YA). Outside the studio, Kim and her loving husband Jim Povey share a blended family of five children ranging in ages from 14-28 years old. Kim is a musician and competes as a bare-bow Olympic Recurve Archer.